For my October 16th ROB column in the Globe and Mail I wrote about why Canadians in particular need a productivity revolution, where we are most likely to find it, and why our early experiences in these fields will be disappointing but we must persevere. Donald Trump isn’t just a bombastic windbag. He’s an economic crank, most obviously in his claim that America has weakened itself by allowing manufacturing to go to China. He promises to make America great again by “beating” China and bring those jobs back. The only problem with that is that the jobs that have gone to China and elsewhere are not the great “value-added” jobs of economic mythology, but the low value-added assembly jobs that America has abandoned because, well, there are more valuable things for Americans to do and the unemployment rate today is 5.3 percent, or essentially full employment. Read the full analysis in my column for Economy Lab in today’s Globe and Mail (7th August, 2015). Donald Coxe, Chairman, Coxe Advisors LLC, and Strategy Advisor, BMO Capital Markets, is a well-known and influential global investment strategist, based in Chicago but closely allied with BMO, giving him a high profile in Canada in particular. Coxe does a regular conference call to brief clients and others about his view of where markets are going. 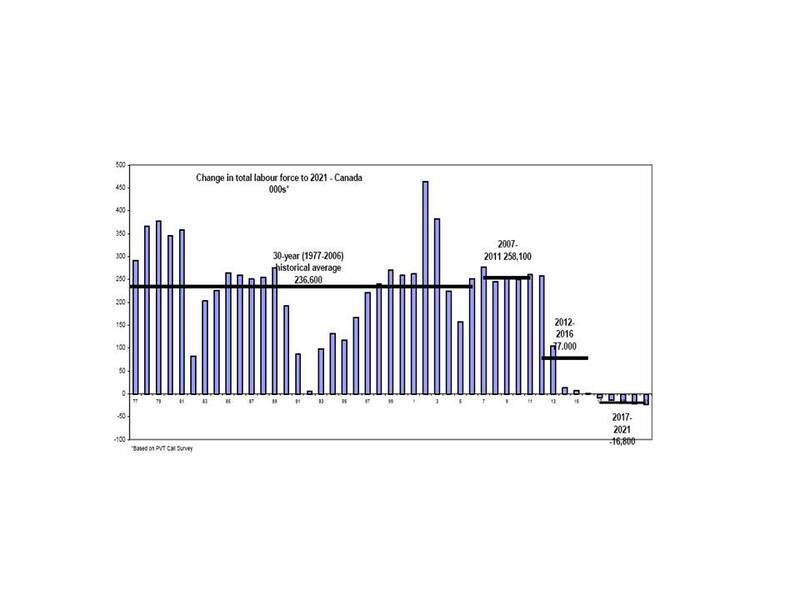 In his call of February 5th, in honour of the Olympics, he gave a strongly Canadian spin to the discussion, focusing on the many reasons why Canada did so well in the recession and why its economic future is relatively bright. To introduce the discussion he spent some time talking about Fearful Symmetry and how it helps people to get a good grasp of the unique circumstances that await Canada as the coming labour shortages and demographic change really start to bite. His commentary is on-line and available until the next one is posted on February 19th. This review first appeared in the Halifax Herald on January 3. It is no longer available online so I’m reproducing it here. BRIAN Lee Crowley predicts that Canada is on the cusp of a profound economic and cultural change that will take the country back to its ideological roots, even if they are unfamiliar to many citizens. We decided not to include many of the graphics in Fearful Symmetry, in part because of the technical difficulties in doing so, and in part because books with lots of graphs, charts and tables are, my publisher assures me, very unpopular with the reading public. They look like work rather than fun. That doesn’t mean, however, that we can’t make them available to you. From time to time I will publish some of them here on the blog. Here is one of my favourites: it shows in a very powerful way the turning point in the labour supply as we go from the Boomer-era of unemployment to the labour shortages of the post-Boomer period. This draws on some fine work by Roger SauvÃ©, Labour Crunch to 2021: National and Provincial Labour Force Projections, (Summerstown, Ont. : People Patterns Consulting, March 2007), amended with updated Finance projections.